ME: The masses are hungry. They are waiting for you to speak words of wisdom in this ‘Something Thoughtful’ section about matters of moment. Surely you have something to say about the blogger Slugg and his wittily entitled blog Far Queue Awl? Surely you want to join the national conversation. Please you must – you absolutely must – roll in the dung with us, thrust your nose up the fundament of prurience, and remark on politics and e-mails as the general election looms. You MUST have something to say about Prime Minister Clueless, Leader of the Opposition Gormless, Third Party Leader Vacuous and the crumbs and sweepings and hangers-on in the minor parties like Winston First and the Fat German Party??? Awake! Awake! Say something significant. Be a pundit. MYSELF: Go away. I’m watching old movies on Youtube. ME: Oh please, don’t pull this one again. It just angers the punters. They know you’re domesticated, sedentary, lazy and passive anyway. You don’t have to tell them about this again. ME: Curse you. It’s because you’ve been reading too many books about self-absorbed loners. Like Haruki Murakami’s novel Colourless Tsukuri Tazaki and His Years of Pilgrimage. Like that piece of rank and self-absorbed Decadence, Huysmans’ A Rebours. People sitting around analysing themselves and their tastes while the real world hurries past them. Re-connect with the real world, thou sluggard!! MYSELF: I am. I’m watching old movies on Youtube. In the company of my wife, most often. This is not a solitary, unsocial exercise and what we watch does reflect the world. ME: Can I not budge you? Can I not persuade you not to take this path once again? Are you determined to talk about old movies on Youtube? MYSELF: No to each of your first two question and yes to the last. 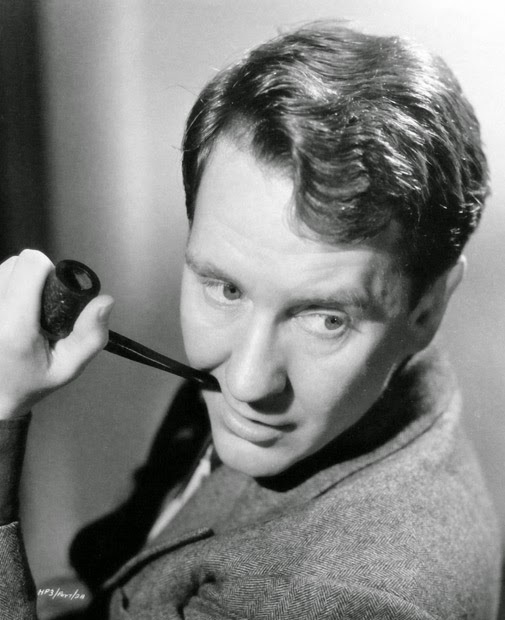 psychotherapist in the 1947 British film Mine Own Executioner, and thinking how odd that it was once regarded as a serious adult drama, and yet at the same time how it did touch on a couple of things that movies generally didn’t deal with until a few years later. Ah, context, context. You always have to read old movies in their social context. And there we both were watching the 1944 American propaganda film Address Unknown, where young Peter van Eyck dobs in Paul Lukas to the Gestapo because Paul Lukas has gone over to the Nazis, and we were thinking what a singularly inept piece of propaganda it was, especially as it was saying that you have to use Nazi methods to get the bad guys. And there we were both watching the lamentably unfunny 1953 British Technicolor comedy The Million Pound Note, starring a lamentably unfunny Gregory Peck who was cast only so that the film could get the American market. And there I was on my own watching Fritz Lang’s wretchedly bad 1947 thriller The Secret Beyond the Door where Joan Bennet looked her peachiest but Michael Redgrave was totally useless as the sinister romantic lead and there were a few good visuals but a script that was less than B pulp. ME: [perking up suddenly]. See, see – nearly all the old films you’ve talked about so far were crap. Surely you’re now going to talk about something significant? MYSELF: Wait one moment, mon semblable, mon frere, I have yet to deal with the good stuff, but I’m coming to it. You see, first I had the solitary pleasure…. ME: [through gritted teeth and sotto voce] : Wanker! MYSELF: …. 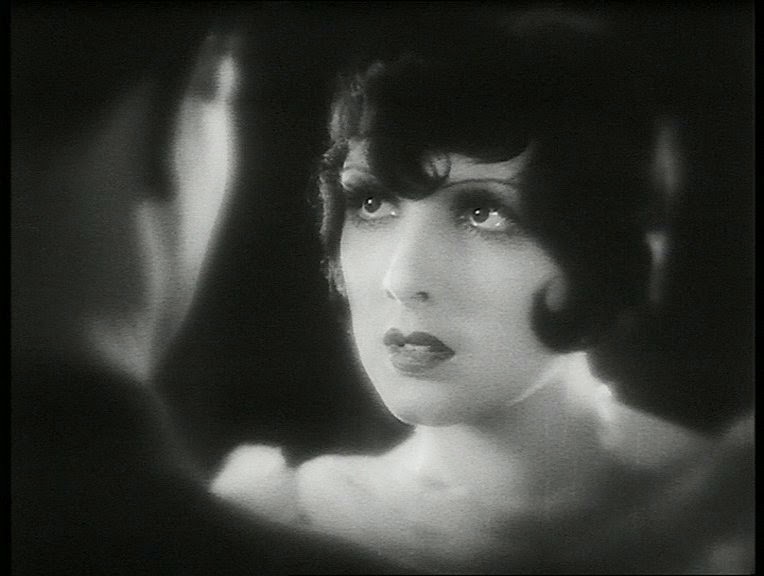 of watching Joe May’s silent movie from 1929 – one of the last silent classics of Weimar Germany – Asphalt. And goodness it was a cracker. Yes, it did wind down to a disappointing “true love conquers all” finale but, in the scenes where the con woman Betty Amann seduces the upright cop Gustav Frohlich who comes to arrest her, it really was ahead of its time. Betty Amann was one of those American women drawn into Weimer movies for her vampy sexiness, like her compatriot Louise Brooks. Actually, I think she was better (and sexier) than Brooks, even if her later film career was just as empty. ME: Okay, so you found one good movie. ME: Still sounds like mediocrity to me. MYSELF: Patience, patience. The next thing we watched together was, I verily believe, an unsung cinematic masterpiece, Yves Allegret’s Une Si Jolie Petite Plage (Such a Pretty Little Beach) from 1949. 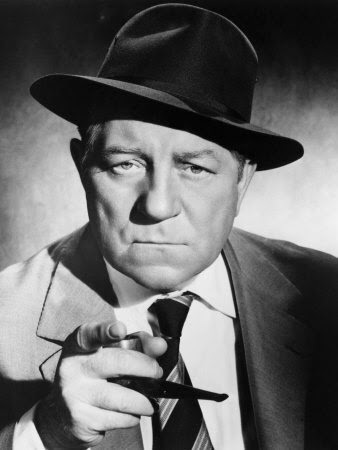 Now I know its plot was just a reworking of those poetic dramas of doomed proletarians – usually ending in suicide – in which young Jean Gabin starred for Julien Duvivier or Marcel Carne back in the 1930s – Pepe Le Moko, Quai des Brumes, Le Jour Se Leve etc etc. Simple human decency crushed by fate and so forth. So here Gerard Philipe, on the run from police, comes to die in the the small seaside resort where he both grew up and was mistreated as a boy. But it was a jewel of a performance by Philipe – I’ve never seen him look so gaunt and haunted and vulnerable while keeping that essential intelligence – and the mise-en-scene was brilliant. The seedy, decaying seaside hotel with its broken stairs and sad, shabby little rooms. The large, desolate, sandy beach, which should have been attractive but which was really the end of the world. Style over substance you say? Possibly – but what style! A great film. ME: Oh pish! You only say that sort of thing because you’re a snob about old black-and-white French films and you overrate well-known French directors. MYSELF: Not at all. The next one we watched together was directed by the more illustrious Henri-Georges Clouzot, and yet it came close to being a stinker. This was his La Verite (The Truth) from 1960, starring the 26-year-old Brigitte Bardot. At the time people said it was her breakthrough role to being a serious actress rather than just a sexpot, because she got to play a genuine dramatic role. She’s a woman accused of murder who gets a hard time in the courtroom not because of the crime, but because of the fact that she has clearly led a sexually promiscuous life. Okay – a reasonable enough theme, but the movie spelled it out in the courtroom orations almost as clumsily as Hollywood does whenever it handles similar themes. And there was the ten-centimes-each-way aspect of it too, because for all its editorialising, the movie still capitalised on Bardot’s wiggling arse and sexiness. So. Not Monsieur Clouzot’s finest hour. ME: So you gave up on watching old films on Youtube and reconnected with reality? MYSELF: No. We were already connected to reality anyway, but we simply found some better films. Georges Franju’s Thomas l’Imposteur for example. A very good film. Made in 1964 but set during the First World War. 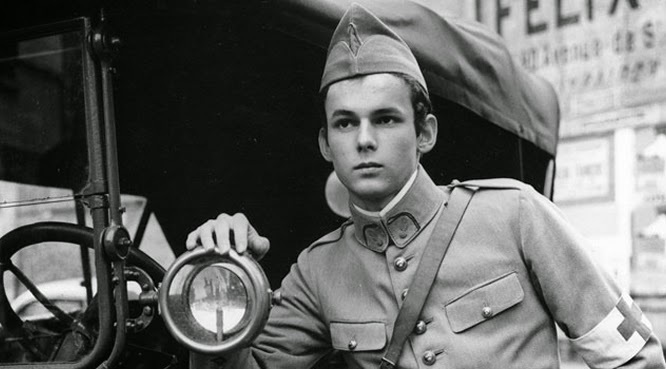 It’s the one about the bright young lad who manages to charm wealthy Parisian ladies, who run ambulances and nursing services for wounded soldiers, by pretending to be an army officer. He plays a role. But then he’s put in the position of having to go to the front, whereupon he continues to play a role – that of a serving soldier – and it kills him. This is one of those deals where the movie is much better than the literary source on which it was based. When I read Jean Cocteau’s novella Thomas l’Imposteur, I really didn’t think it was much. At best, a sourly amusing anecdote. But the film, atmospheric and yet specific about detail, wound up as a kind of anthem for doomed youth. And it gave me the oddest sensation about time. When it was made, the First World War was already ancient history – yet it was only 50 years before the time the film was made. And now the film itself is 50 years before our time. ME: Oh for goodness’ sake! Trite, trite, trite reflection. MYSELF: Alright. That’s my fault. Not the very good film’s. Besides, the next film we discovered was far from trite and it really surprised me as it was directed (in 1987) by a director whom I’ve often found to be a sensationalist - Louis Malle. 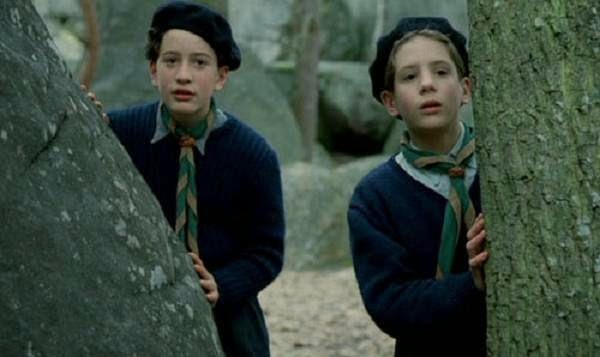 This was his Au revoir, les enfants, set in a Catholic boarding school during the Second World War and about the friendship between one of the Catholic kids and a Jewish boy who, with the connivance of the priest who runs the show, is hiding out there. MYSELF: No, stop. Stop. I know exactly what you’re thinking, but you’re wrong. Believe me, the film avoided all those pitfalls you’re imagining. The kids were neither sentimentalised nor glamourised. The priest was simply a jobbing priest, not a Hollywood saint. There was no scene spelling out themes for you. The settings in time and place were quite convincing. It was brilliant, so pull you’re head in. ME: Isn’t it still escapism to be watching a foreign film about problems in a distant time and place? MYSELF: Okay, so by that token it’s escapism to respond to any art that doesn’t speak directly to your own time and place. I think people will still be able to respond to the best films I’ve mentioned here when nobody remember, or cares, who Slugg was and what his blog was. Besides, why should I join all the chatterers, traders of trite one-liners in the blogosphere and semi-literate pundits who are already dissecting Slugg? The field is covered. Now begone – I’ve got to start worrying about how on Earth I will fill up this ‘Something Thoughtful’ spot next week.